Dock and view of Great Pond. View of Brigadoon from lake. Brigadoon offers a remote getaway from the today's hectic lifestyle. 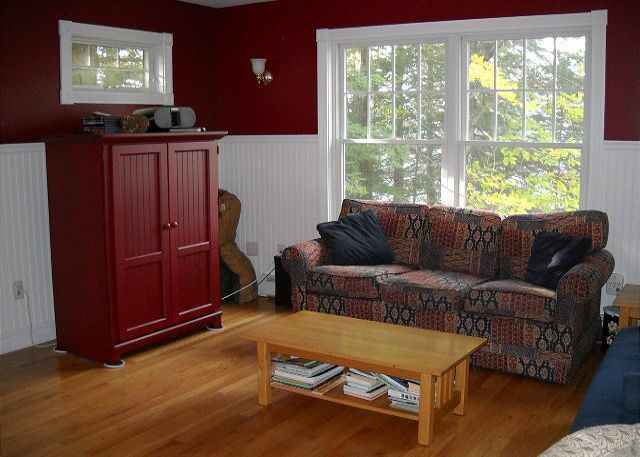 Situated right on the east side of GREAT POND, this lovely 3 bedroom, 2 bath upscale cottage is very well appointed. Here you can enjoy all the comforts of home in an idyllic setting. On the main floor are the kitchen, full bath, living area with fireplace, dining area, & enclosed porch. 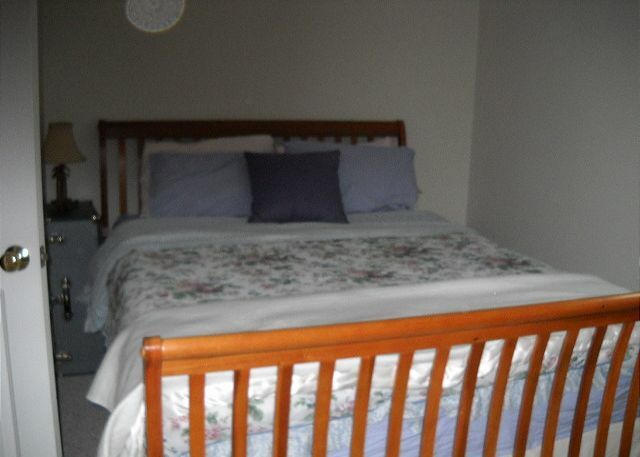 Upstairs are three bedrooms with full bath. Downstairs is the laundry area with bath. Outdoors you can partake in the lake activities; swimming, fishing, & boating. There is a dock and mooring for your boat. Great Pond is the largest and most popular of the Belgrade lakes. This property was just perfect for us. We had 4 adults, a 2 year old and a small dog. There was plenty of room for everyone. There is a Great Lake front lawn with lots of room to play. The dock was great with a seat to watch the sunsets. The stairs that led into the lake made for great swimming. It was an easy trip in to both Waterville and Augusta. A well stocked kitchen and pantry made cooking easy. The fire pit was a great place to toast marshmallows each night. We are seriously considering booking it for next year. We had a fantastic time. The home is well equipped. Located close enough for family to come visit/ enjoy cookouts. Being in the cove was great...the grandkids could enjoy using our kayaks without fear of being run over by boat traffic and my 6 year old grandson's highlight was catching a 4 1/2 pound bass while kayak fishing with his dad! Great weather all week.. just a perfect place to stay!!! Beautiful home on spectacular lake. 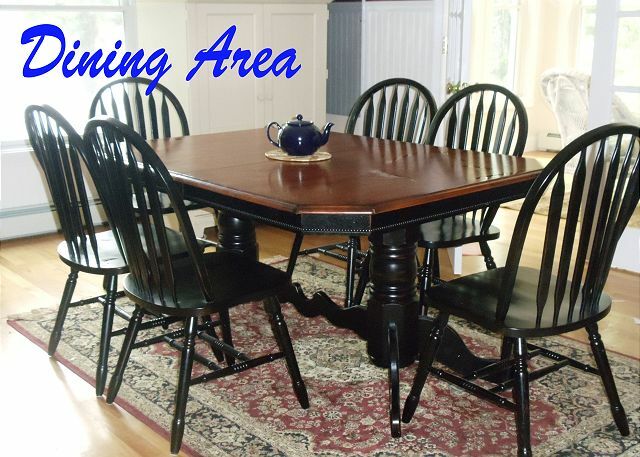 Fully furnished and comfortably appointed home with sun porch and lakeside lawn plus dock. Well-suited for families and visits with friends. 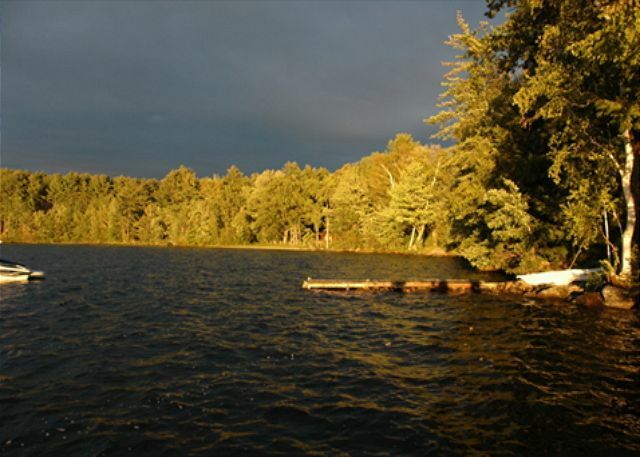 Easily accessible to Belgrade Lakes village and local hiking and biking. Great pond is perfect for swimming and boating. 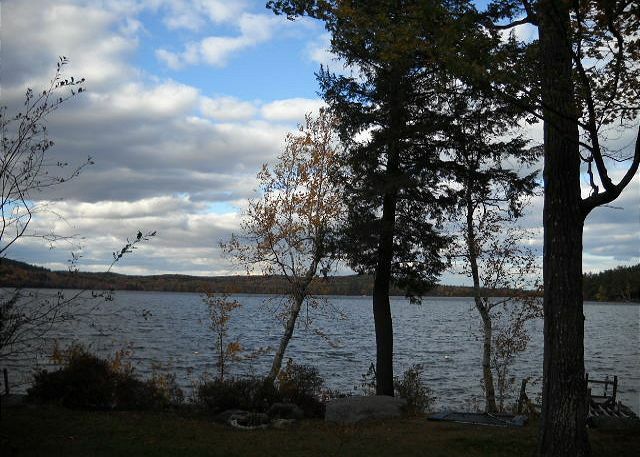 Horse Point is a quiet setting for relaxing and exploring with few motor boats and pleasant neighbors. This place is just steps from the best lake in Maine. 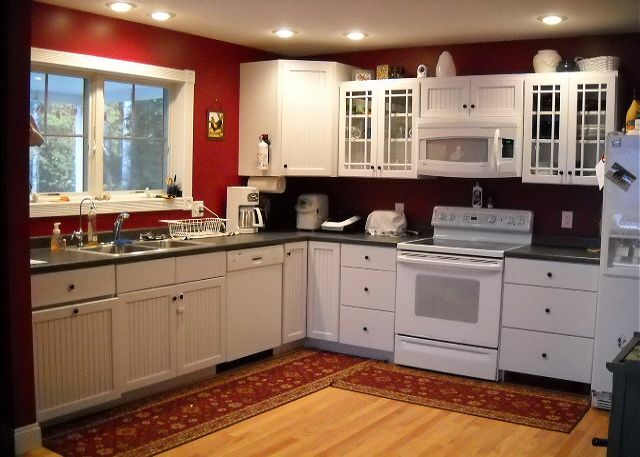 This is a very nice home that is well appointed and decorated in a desirable area of Great Pond. 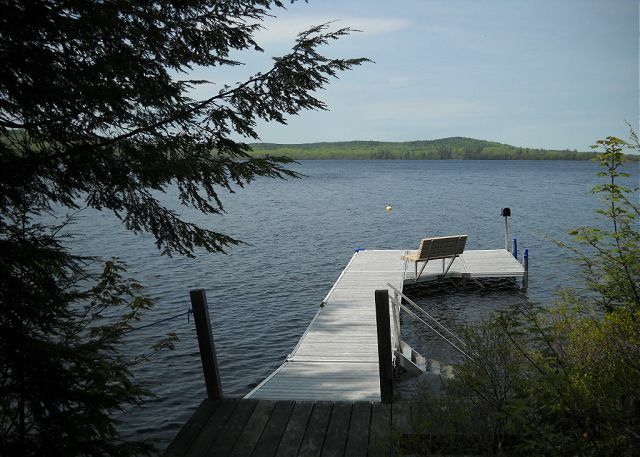 The property has a nice, legit dock capable of handling large boats and includes a deep water mooring. We truly enjoyed our stay! Our second time we've stayed here.....beautiful setting, right on the lake. All the amenities you will need for a relaxing week away. Will definitely plan on going back next year! Very pleasant house, location. Swimming great. House clean, comfortable and well appointed. We enjoyed our week at Brigadoon. The open concept main level made it easy to watch the kids. The steps at the dock made it easy to access the water that has a nice sandy bottom. The kitchen was well appointed and I couldn't think of anything it was missing. Overall it was private and quiet and we enjoyed campfires and watching the sunset from the dock. 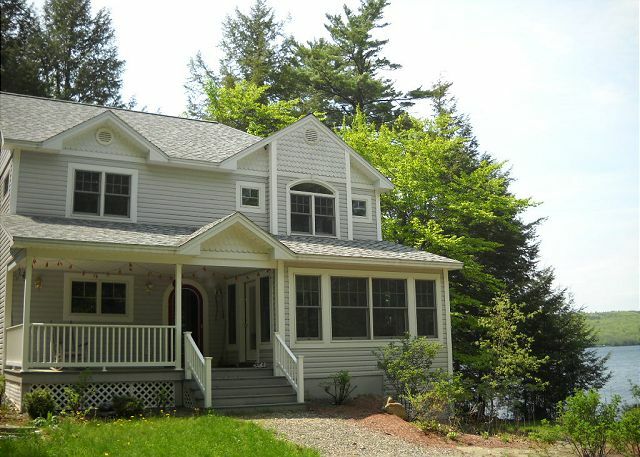 We had two families sharing this lovely house on a nice cove of Great Pond. 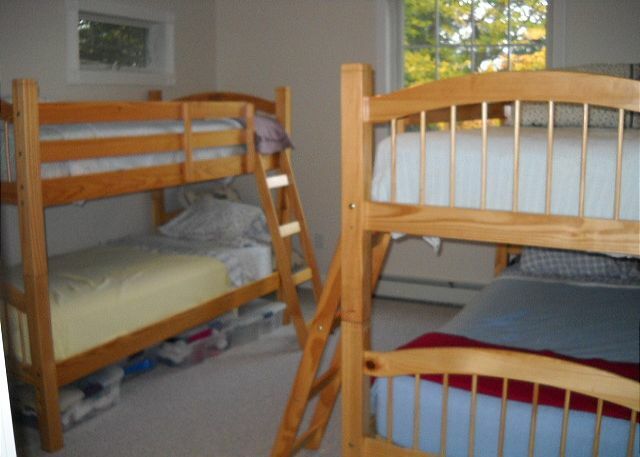 There's a Boy Scout Camp very close so if you're interested in a quiet rental, this might not be the place for you. Since we have several young kids in our group, however, the noise from the Boy Scouts didn't bother us -we created our own noise! 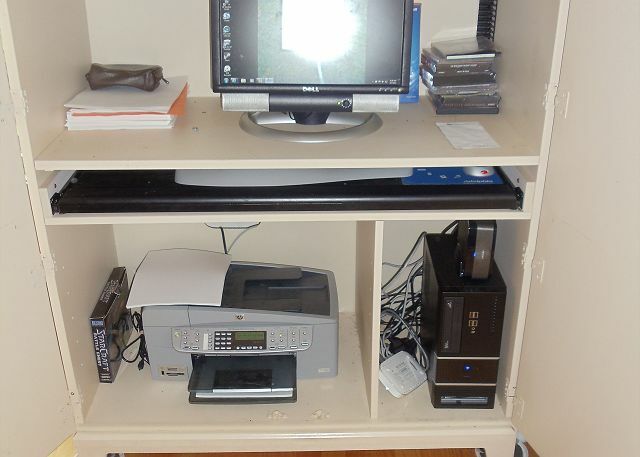 The house is well maintained, comfortable, well stocked and clean. There are lots of games to keep the kids occupied when they're not outside in the lake or playing on the dock. 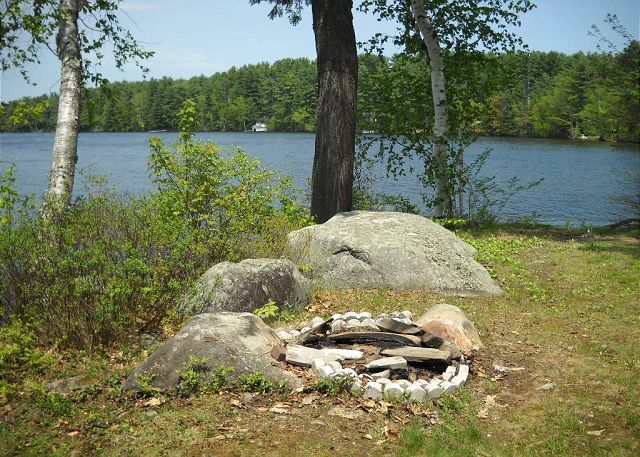 The fire pit and picnic table were well-placed for dinners by the lake and bonfires after sunset. The house provides beautiful lake views, especially during sunset. Suggestions for improvement: grease the door hinges on the master bedroom door (very squeaky! ), add a swim float, and reconfigure the kitchen sink (it's a divided sink with a disposal on the left side, but the faucet is stationary over the right side and the sprayer doesn't detach so you can't run water into the disposal). 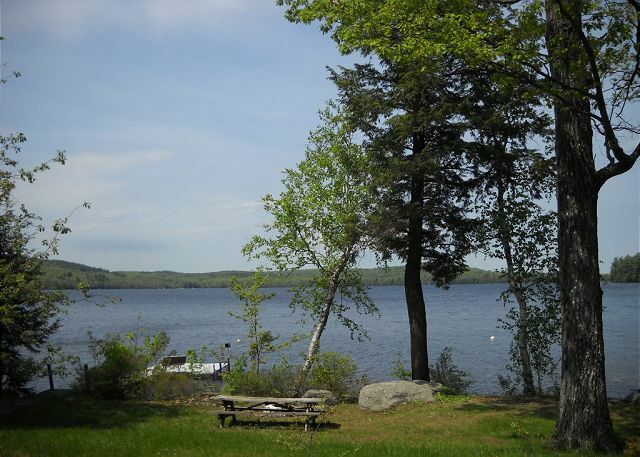 We've rented several properties on Great Pond and this one is most definitely a home away from home. The house was beautiful. It was clean & the beds were all very comfortable! It's a very quite cove, although it sits right beside a Boy Scout camp we had no complaints of it being loud. Barbara was wonderful to work with & responded quickly! We would rent this house again!!!!! Renting a home for our trip to Maine made for a terrific and relaxing weekend! We were so pleased with this property. Beautiful interior and all the comforts of home. The perfect place to have friends and family visit while we were in Maine! This was such a beautiful setting and great location. The owner and rental agency was very responsive and friendly to all our needs. Third time still has the charm!! This is our third year in a row renting Brigadoon. Other than an unusually chilly summer week, we had a great time. The house was as usual, immaculate and ready to go when we arrived. The grounds were beautifully kept despite the many canada geese that seemed to resent us there! (our lab took care to bark them away for most of the week!). One evening during a thunderstorm, we lost the power but the backup generator immediately kicked in so no fun was lost! Would Highly recommend this summer house. Barbara and the staff at Belgrade Vacation Rentals are extremely friendly and easy to work with. Our family enjoyed the roomy feel even with 8 adults and adult children. The house is lovely. Refrigerator could use some ice cube trays since the ice maker does not work. A lobster pot and blender would complete everything you could need for cooking. Property is private, well maintained, and house is easily accessible from the driveway. Plenty of clean towels were provided, and sheets were clean and in good condition. Barbara was very helpful in providing extra fans for those very hot nights. Can't wait to return! Good. The overall experience was very positive. On the constructive side, the information could have been more current regarding garbage, recycling, and key return. The septic system struggled with the six occupants, but the brochure claimed it could handle eitght people. The location on the lake is very nice, but be prepared to travel for any supplies, dining, church, etc. 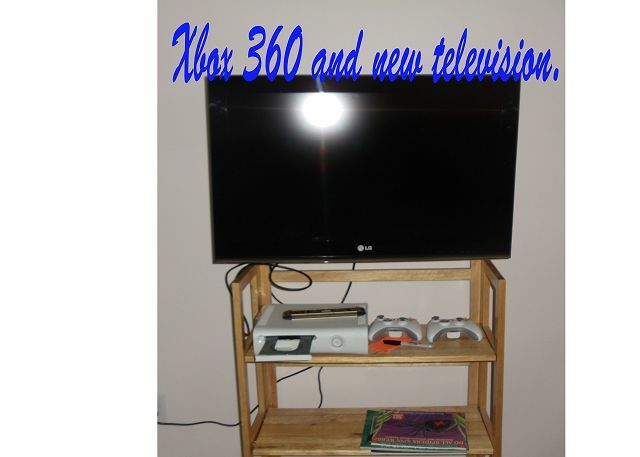 The electronics (TV, DVD, etc) required a technician to show a video or watch the news. The house was wonderful. 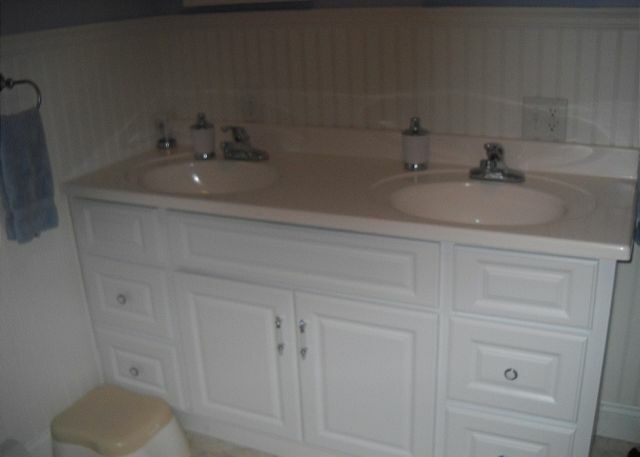 Perfect location, even though there are neighbors nearby, there is complete privacy. The living areas, bedrooms and baths are very spacious and well furnished. Plenty of linens provided to us and very clean. The overall physical condition of the property was excellent. Very nice home, well taken care of. We were very happy with our stay.